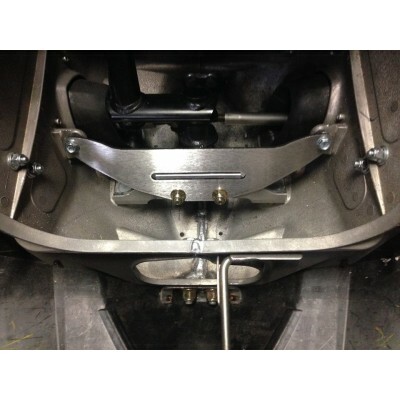 G4 Bulkhead Steering Mount Brace - Grip N Rip Racing LLC. This brace is an easy bolt in, no holes to drill. For sleds without the rack steering system. Connects the lower steering block to the bulkhead sides to add strength to the bulkhead. Made from 1/8" thick stainless steel comes with aluminum standoffs and fasteners.